Released back in 2003, Voodoo Vince was one of my favourite games from the early Xbox era. 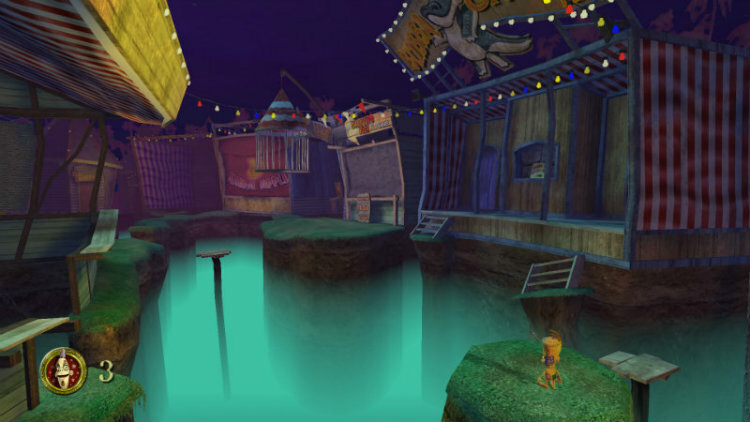 Though it might not have been as big of a success as I hoped it would be, the New Orleans-themed platformer went on to became a cult classic. It’s been over 13 years since I played Voodoo Vince on the Xbox, it was never backwards compatible on the Xbox 360, so when I heard about Beep Games’ remaster I couldn’t wait to see Vince back again—this time on my big screen HD TV. Vince’s story remains untouched from the original, his adventure takes him from the streets of New Orleans to the depths of a Louisiana bayou in search of his keeper, Madam Charmaine. She runs a voodoo shop and owns a much sought after magical Zombie Dust. The game’s antagonist Kosmo the Inscrutable, who has plans to take over the world, has sent his goons out yet again to steal the Zombie Dust. This time they are successful and not only steal the Zombie Dust but capture Madam Charmaine. Not all games need to have developing narrative or complex character development, and thank goodness Voodoo Vince doesn’t. Voodoo Vince came out at a time when 3D platforming games were built around zany characters with little to no emphasis on a story. So going into this remaster I didn’t expect there to be any changes at all in the storyline and there wasn’t. The game’s story doesn’t really unfold until near the end of the game. You get several short cut-scenes involving Kosmo and Vince with little to no character development. 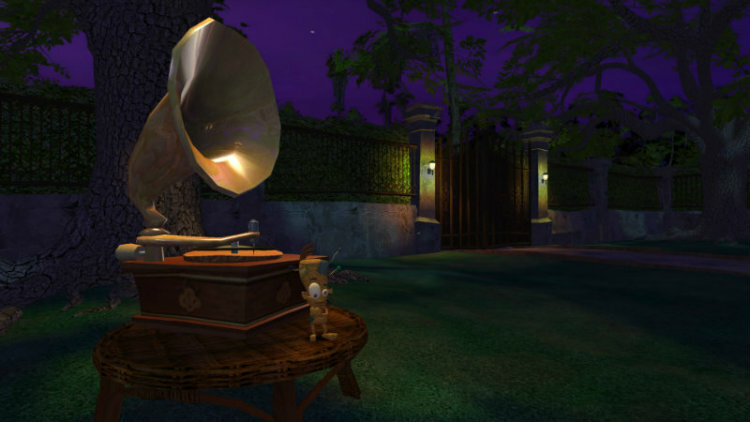 By todays standards Vince’s story would fall short, but taking Voodoo Vince Remastered for what it is and its value price—I’m completely ok with it. 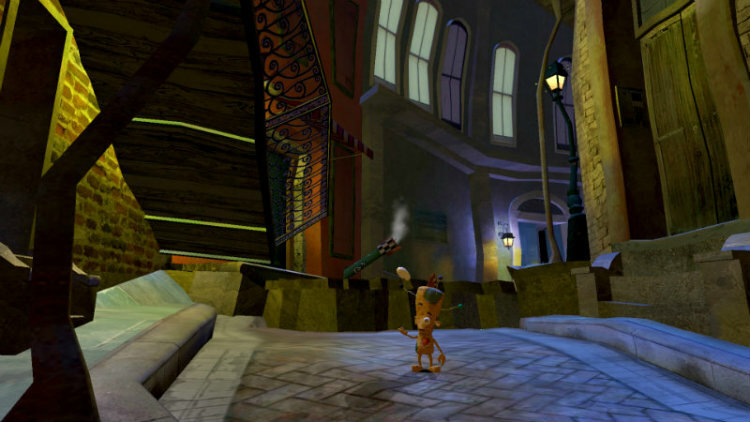 Just as the game’s story has remained untouched, Voodoo Vince’s gameplay is exactly as it was in 2003. There aren’t a whole lot of snazzy moves that require button combinations to remember, instead you get a game that is extremely easy to control and accessible to a wide group of gamers. In order to save Madam Charmaine, you have to fight your way through 30 levels from a fantastic French Quarter, to a graveyard crawling with imps and zombies. Not only that, but you’ll get to drive vehicles including a fanboat, a submarine, and an airplane. Additionally, there are plenty of mini-games to master. Nearly each level is unique in its goals and puzzles, which in itself is interesting and makes the whole experience enjoyable. Aside from the standard moves of jump, punch and spin attacks, Vince has voodoo powers. By collecting special voodoo icons scattered through out the game, you’ll full up Vince’s metre and be able to use a voodoo power to destroy a group of enemies. Each voodoo power hurts Vince in a unique way, but they all have roughly the same effect on your enemies. Sadly, you can’t use your voodoo powers on bosses—where you really need them. Scattered throughout the game's levels are special items for you to collect. These items range from Zombie Dust Bags, which after collecting 100 will increase your health bar; Hearts, which give you extra lives; and Skull Pages, which upon collecting all in a certain level will reveal a Skull. If you are able to find, chase, and capture the Skull, it will increase the number of voodoo powers Vince can perform at one time. One of Voodoo Vince’s strongest attributes are its remastered graphics or should I say restored graphics. 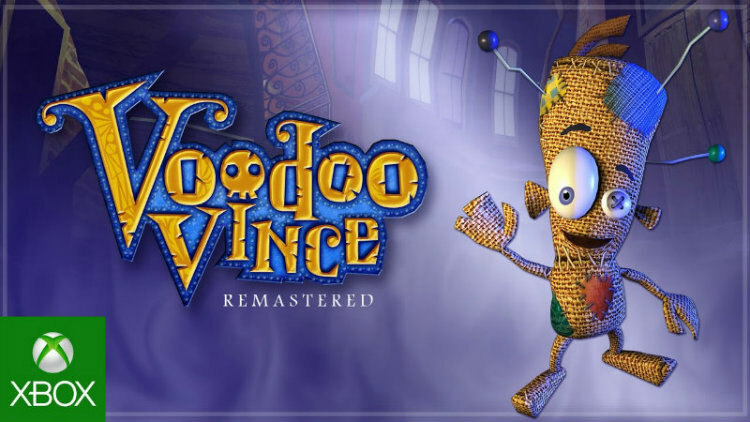 I say that because Voodoo Vince looks just like how I remember it did back on the Xbox. While in reality, going back and firing up my Xbox and copy of Voodoo Vince made me appreciate the work that was done in this remaster. Beep Games did some updates so that now the game runs on widescreen format and the game plays at a near constant 60fps. Additionally, colours have been adjusted for flatscreen TVs. 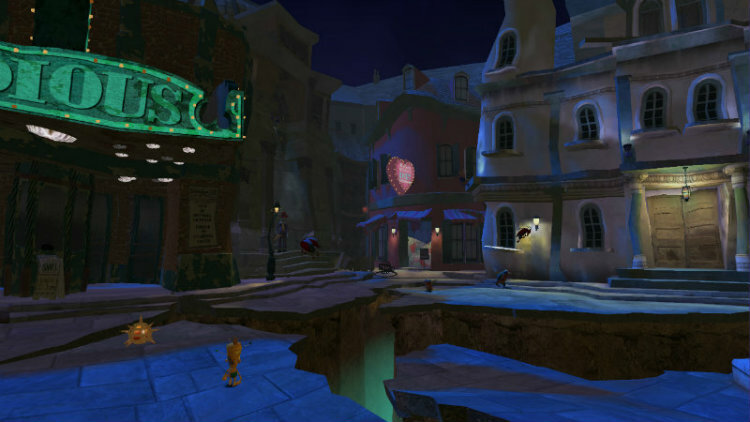 While Voodoo Vince retains its cartoonish charm, you can clearly see that it’s an Xbox game. The game’s catchy jazz sound track has been retained and a few of the tracks have been remixed for this remaster. 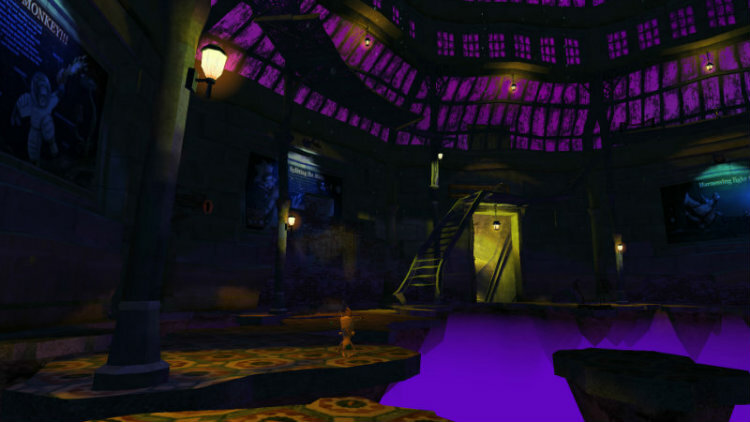 Here are a few tips and tricks to help you along your way in Voodoo Vince Remastered. If you hate dying and continuing from the beginning of the stage, you’ll want to stock up on extra lives. Here is a neat little trick that I found: All Hearts regenerate when you exit a level and return. In the Dock, you can collect 2 Hearts easily. Just do this a lot of time and you will have a lot of extra lives. Some levels have a Trolley Station, make sure to use it. It’s a quick and easy way to save your game and you can recharge your lives by traveling to the Dock. Want an easy way to locate Zombie Dust, Voodoo Dolls, Hearts, Skull and Skull Page? Look around carefully in Downtown Crypt City to gain the “All Seeing Eye” power. Voodoo Vince Remastered is just how I remember the original game. It plays exactly like the original and thanks to a few graphical updates here and there it looks even better. At it’s value price, I got exactly out of it what I expected—a solid Xbox 3D platformer with a dynamic cast of characters that kept me laughing all throughout my adventure. Voodoo Vince Remastered is perfect for fans of the original game and also those looking for a classic Xbox game at a value price that will give you more than your moneys worth.